How to Become SAG Eligible Quickly! After a lifetime as an actress and years of coaching actors, I want to help YOU with your acting career too! 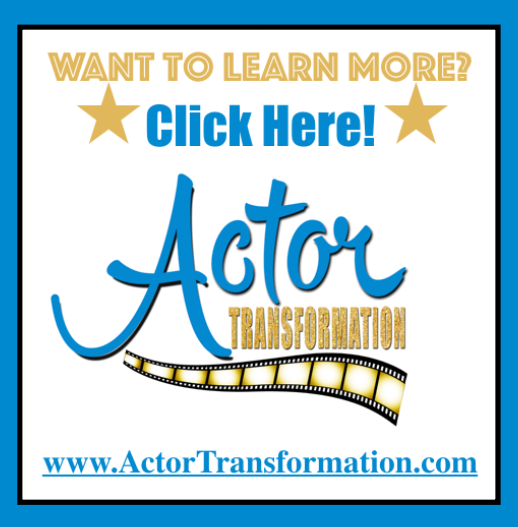 Actor Transformation offers personalized one on one phone coaching and/or “Work Hours” to help you on the business side of your biz! From helping you with mindset, to building relationships, to making a strategy for your press and marketing, we will work on whatever YOU need help with. Private coaching is NOT right for everyone. You need to conduct yourself professionally. Don’t worry, We will have a ton of fun growing your career, but you will be expected to conduct yourself professionally including returning emails & calls, being on time for our phone sessions, and being ready for success! You are serious about investing in your career. Please only apply for private coaching consideration if you are serious and in a position to invest in your acting career. You are willing to learn & grow, & get out of your comfort zone. Private one on one coaching is for actors who are ready to break through to the next level in their careers. Whether you are brand new to acting or an ole pro, I can help you. I just ask that the actors I work with must be willing to work on their careers and have a great attitude. Fair enough? Your top three 90-day goals and your phone number. If we seem like a match, we will send you a registration page. One hour of Private one-on-one phone coaching is $200 per hour, and there are discounts for packages of three or more hours. Once you become a private client, we’ll set up your first phone coaching session. And if private coaching isn’t quite in your budget right now, don’t worry. We have all kinds of great training and goodies for all kinds of budgets… including FREE! I look forward to reviewing your submission and to hopefully working with you soon!